Pemmican | Eat Meat. Drink Water. 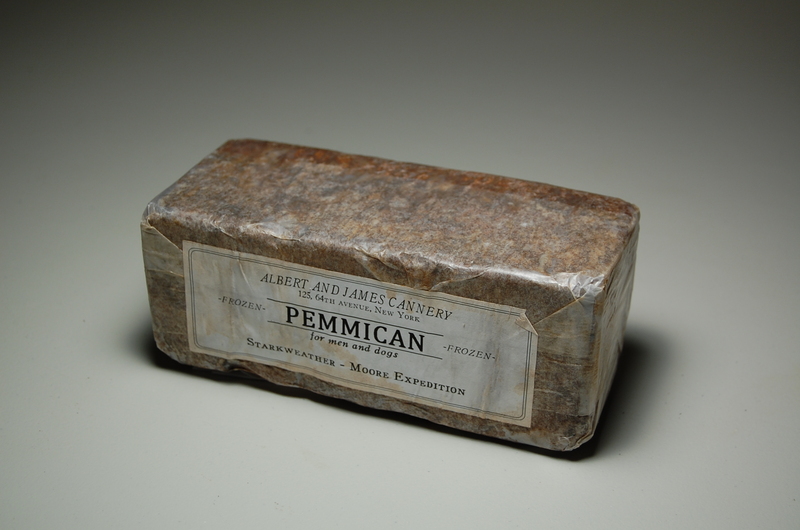 Pemmican was a traditional food of many Native American Hunter-Gatherer tribes. It is a wonderful travel food, as it is very heat-stable and can last for many months outside of refrigeration without spoiling. Many veterans of an All-Meat diet have made and used Pemmican. The traditional recipes included wild fruits such as currents and blueberries, but these are omitted by those who follow the Zero Carb way of eating. For general information and a short history, please see the Wikipedia article on Pemmican about this unique food. Is pemmican high in histamines? That is an EXCELLENT question. I think if you make your own from freshly slaughter beef and dry it in 24 hours, then it would not be high in histamines. However, if you by beef that has been aged, it might me a problem. Therefore, it would be best to make you own with a source of beef that you already know is histamine-free. Dried fresh wild game meat or bison might be a good choice too, if you have access to that. The tallow itself should be fine, as the histamines are located in the muscle tissue only. I’d be very curious to see how you’d do with pemmican. Have you made any or tried US Wellness pemmican? Joe, I so want to try making my own pemmican with beef that I know is fresh. Most beef is aged and high in histamine, so I cannot use just any beef (so I am not sure the pemmican from US Wellness would work for me?). But this is in my plans for the future. I love the ease and freedom it would provide. I think it could be very healing too. Would freeze dried beef work? Or does it need to be air dried? I would only use naturally dried beef. I just watched a youtube video on pemmican preparation by Carolina Kipnis. We used to be on the same zero-carb forum.The video is quite old but the instructions are very clear. I don’t travel and my one meal a day (meat/fat) eliminates any other food so pemmican is not on my to-do list. Do you have a link to her video? The kind of fat used matters. Pemmican should be made with kidney fat/suet not muscle fat. Different fatty acid profile, melting point, water content etc. If you use muscle fat the pemmican may not be solid at ‘room’ temperature if you live in a warmer climate. I’ve seem some otherwise good pemmican instructions which don’t spell this out. Rendering at low heat is also essential. This produces a mild tasting fat end prevents the fat from oxidizing. Historically I’ve wondered how the ratios work out as there is clearly not enough kidney fat to prepare pemmican for an entire animal. Either muscle fat must have been used or there would have been a lot of waste. According to Stefansson, the two most highly prized fats for pemmican were suet (kidney fat) and back fat. If an animal is harvested in the fall and is older (5-7 years), it can have a nice thick pad of back fat weighing approximately 100 lbs. we do not see this in cattle today because tet are harvested year round and quite young, so they never have a chance to accumulate this special fat. The name of this Native American attests to in value placed on back fat. I love the US Wellness Meats pemmican sticks but I don’t have the histamine issue that you do so I can’t speak to that. They are not solid at room temp in San Diego in the summertime but I eat them straight out of the freezer. I call them meatsicles. My butcher sells beef fat. Could I just melt some of the beef fat from the butcher instead of going through the rendering process? If by “beef fat” you mean tallow, then yes that should work. Tallow is rendered beef fat. I make bone broth from beef bones and there is a lot of fat which I skim off when cold. Could I use that for making pemmican as it’s already been rendered in 48 hours of gentle simmering. In a rainy season, or if there was great hurry, the drying might be done over a slow fire. This was the method of the British when they came to make pemmican at home for the use of their soldiers, sailors and explorers. Sometimes in a wet season meat was suspended inside the teepee and became smoked incidentally. There were sections of North America where smoking was deliberate, as part of the drying, most likely in places where the climate was always damp” . From the 2009 Lex Rooker pemmican manual/recipe: ” It is important that the lean meat used in pemmican be dehydrated at a temperature below 120F, and a temperature between 100Fand 115F is ideal. Temperatures above 120F will “cook” the meat and will severely compromise the nutritional value of the pemmican. Federal and State laws require commercial dried meat products like jerky to be raised to a temperature above 150F which cooks the meat to a well-done state and makes it totally unsuitable for making pemmican. From the 2008 Lex Rooker $10 dehydrator manual: There was a time when you could purchase good jerky, but not anymore. Today it is illegal to sell jerky unless it has been raised to a temperature of 160F for “health” reasons. The FDA has mandated that the meat used for jerky must be cooked to a state of “well done” before it is dried. Unfortunately this turns something that was once a basic highly nutritious food source for Native Americans, Trappers, Prospectors, and Explorers into not much more than flavored shoe leather. What “nutritionally-related” issue of the drying & denaturing of the protein happens above 120F say at 165F, but not at 115F? Most healthy carnivores’ meals are cooked well above 115F, often in the medium-done range of 145F. I don’t know the answer. I think this caution was based on someone in one of the early zero carb groups who lived exclusively on pemmican and developed health problems. The Andersen’s would likely know, as they lived on only pemmican successfully for many years. I don’t know the answer. I think this caution was based on someone in one of the early zero carb groups who lived exclusively on pemmican and developed health problems. The Andersen’s would likely know, as they lived on only pemmican successfully for many years. I did not know that. Wonder why they stopped? Made my 1st batch; liked it way more than I thought I would, could definitely eat nothing but it ! My dehydrator has 1 setting at 165F. I can get one that has a 115F setting. Is Lex Rooker around to ask? As I said, I don’t know exactly why the instructions caution against heating the meat above 115 F. I do kniw that someone who lived exclusively on pemmican did become ill over time and thise who knew this person believed it was because he heated the meat to high while drying. I don’t think we really know. You would have to experiment and see how you feel with meat more well done. The Andersen’s switched to fresh ribeye once Charlene’s health had improved enough to tolerate it. I wanted to have them do a step-by-step instructional of their pemmican making process, but they were not interested unfortunately. Lex is not active online anymore. He is living his life and spending time with his grandchildren. You would have to experiment and see how you feel with meat more well done. No, I’ll follow the 120F or lower protocol. My first & only batch was at 165F & it did cook a bit I suppose. Not even realizing the potential of unwanted side affects from dryig too hot/cooking, I knew both that my pemmican would be stored in the fridge & eaten in 1-2 weeks. It was great, I intentionally left in a bit chunky ( mostly powdered but not completely powdered jerky), chewing those chunks was great. But I’m certain I will like my next batch too which will be more completely powdered. Not necessary; the C. Kipnis links above are perfect & simple. I also found rendering the tallow works just fine in my Crockpot which does not have a temperature setting, only low & high which are only about 212F & 215F per my call to the mfg , which does indeed boil my foods & my tallow. For tallow, once I have a good boil, I crack the Crockpot lid for maximum water escape. The crock pot method will result in less brown left over cracklings but that is a non issue for me, I will fry them up to the texture I want.